If pricing included in Ford’s configurator for the 2019 Ranger mid-size pickup is correct, the truck will cost thousands more than the 2018 Chevrolet Colorado. According to a Ford Authority report on Tuesday, the leaked configurator showed a starting price of $24,300 plus a $1,095 destination fee. In comparison, the 2018 Colorado starts at $20,200 plus a $995 destination fee. As FA noted, the Colorado’s base price nets a 2.5-liter four-cylinder engine with 200 horsepower, while the 2019 Ranger will boast a 2.3-liter Ecoboost four-cylinder engine exclusively. Power ratings are unknown but expect the engine to handily outdo the Colorado’s base four-banger. Upon realizing the configurator had accidentally gone live, Ford said pricing for hasn’t been finalized for the 2019 Ranger, thus, we could see the base price fluctuate. We’ve expected a refresh of the Colorado and Canyon twins for about a year now, though the trucks haven’t surfaced yet. We could see freshened GM mid-size trucks next year ahead of a total redesign for the 2022 model year. As for the Ranger, the final configurator will go live next week with official information. Those prices are before discounts, which are really sparse on the Colorado and Tacoma. Also, I am pretty sure that the Ranger will have fewer bed/cab variants. I have been anticipation a higher price just due to the content. The Raptor will also have to be at least $48K or more if configures as it has been overseas. The only real question is will the content be enough to no scare buyers off? The real trouble is in this segment people want prices $28K-$38K. Once you get over $40K the buyers drop off in all makes as at that price point and higher the larger trucks become a factor, Only then do you find the true small truck loyalist like myself who buy on size more than price. Even then I still considered a full size extra cab SLT Z71 because it was just $1500 more than the loaded Canyon I did buy. It was tempting but I just did not want a full size truck. Most people are more open minded and that makes pricing the mid size very tough. The tough sell will be a $40K plus truck with only a 4 cylinder. While it will drive fine many people will be reluctant to pay that much for a 4 when you can buy a rebated V8 for a similar price. Shear volume of the full size plays a big part in pricing and scale of economics. My truck was loaded up to just under $45K. With the sale price and other incentives I enjoyed I got it down to $39K. The biggest savings was the GM tag that they gave dealers at the time to place on several models they needed to move. I was looking at a SLT but with the tag the Denali came in at the same price. Rebates have been rare till this year. Most buyers I note on the Forums are looking for $32K-38K prices and not much more. Most are LT and Z71 buyers. Crew Cab and 4×4. Spec’d out a Ranger at $45k, as close as I could I spec’d a Colorado to $41k. A similar Tacoma was $42k, though it was missing about $1500 worth of options that the other two had. The Ranger came within $1000 of a similar F150, at least the Colorado offers a few thousand dollar difference. Curious if pricing will actually change. The Ranger will come standard with a 2.3L turbo I4/10 spd. auto. The 2018 Mustang has this combination currently and in “sports coupe” tune it’s rated at 310hp/350lb.ft. I expect the new Ranger will be a bit back from this and tuned for “truck duty”. Even at say? 285hp/325lb.ft. this engine should outperform the GM 3.6L trucks. Why? Torque. Modern turbo engines make lots of torque at lower revs. It’s basically opposite of what many still think of turbocharged engines. . Many think of turbos from yesteryear, where they “lagged” and needed to “spool up” and then your where hit with a big rush of power, not the case any longer. By comparison, GM’s DOHC 3.6L needs 4000 rpm to hit 275 lb. ft. 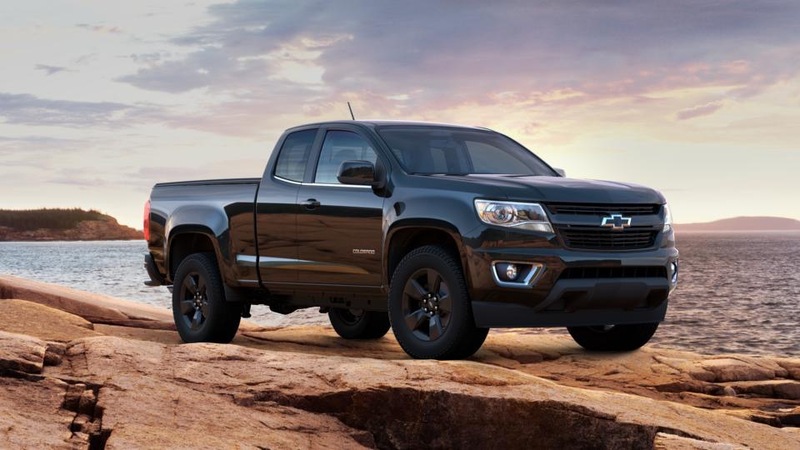 I can agree, but a little birdie from GM is saying that the 2.7L going in the 2019 silverado will be making its way into the colorado to be the standard engine. Lets cross our fingers! I expect the 2.7 will show up. and the 3.6 over time will go away. GM needs another outlet for it as we have yet to see if it has a transverse ability. The real question is will Ford do with the Ranger like the F series and make a low base price but really add up on options with higher prices. Turbos are just a added expense down the road. Just wait tell you have to replace one. If the Ranger is a lot higher then the Colorado, it won’t sell. You might as well buy an F-150. Considering the prices people pay for full size trucks , I don’t think Ford will have too much trouble getting more for the Ranger than for the Canyon . The truck looks more symetrical , the lines flow more smoothly , the engine will be stronger and knowing how Ford can dress up the interiors . a dandy contest is coming . What this competition will do to pricing is more important , The battle of Ranger versus Canyon should make for some great deals for the buying public ! Maybe wait till the fur starts flying here before planning a purchase . I don’t care what they cost in comparison to the GM twins because I wont ever considered them for purchase! The only thing this site should be talking about are GM vehicles not their competitors! Well the one reason the Ford will do well is brand loyalty. Even with the Colorado and a Canyon the owners mostly came from previous GM truck owners. They defected to other models like CUzv models. There is the Taco factor too where they also got some taco defections. Ford will see the same thing as there are still many past Ranger owners out there that are waiting. Few will go from GM to Ford or Ford to GM. The one key is that we watch the Ranger and see what it offers as the added Competition will drive to improvments in both. We should soon see the refresh of the GM models with added equipment. The replacements two years later. The winner here is who makes more money. Both will sell in similar volumes but who can make more profits will take the prize. We are seeing this in the full size trucks as Ford is struggling profit wise though they still move a lot of trucks. As for styling it is all sujective. For every one hater there is 20 lovers of the styling so it is a non factor. Hey the dated Taco styling still does well. Agree, Ford has big brand loyalty and there is an enormous audience waiting for the Ranger. GM has proven with the success of the Colorado and Canyon that many out there simply don’t want the bigger F/S trucks even if the pricing shows the bigger truck is a better “deal”. I see “retiree guy” driving plenty of Colorado’s, no need for a bigger truck any longer and smaller truck fits in the garage/carport. Well as trucks have become larger there is a need for smaller trucks. No all of us want or need a big truck. The interesting part is the crew cab is dominate in this segment and the largest conquest buyers have come from CUV models. But also some of the CUV buyers were old S10 owners. Many of us bailed on the first gen Colorado and Canyon as they were really crap. We came back in the second gen from the other vehicles we bought. There is still a segment begging for a smaller truck. I expect GM will move to this at some point but the problem is many are expecting a S10 but they will get a CUV based model. I read the numbers needed and it will take a global platform to do this kind of truck. The problem is the lower the volume the more difficult it is to price cheaper unless you move a volume platform. That takes global sales today. Hard to judge prices overseas as the content can really vary. Just look at the Holden vs Colorado.